Take your bridal look from boring to beautiful with this exquisite ring set from Apples of Gold. The Holy Spirit Dove Diamond Bridal Ring Set makes for a truly inspiring take on bridal jewelry. 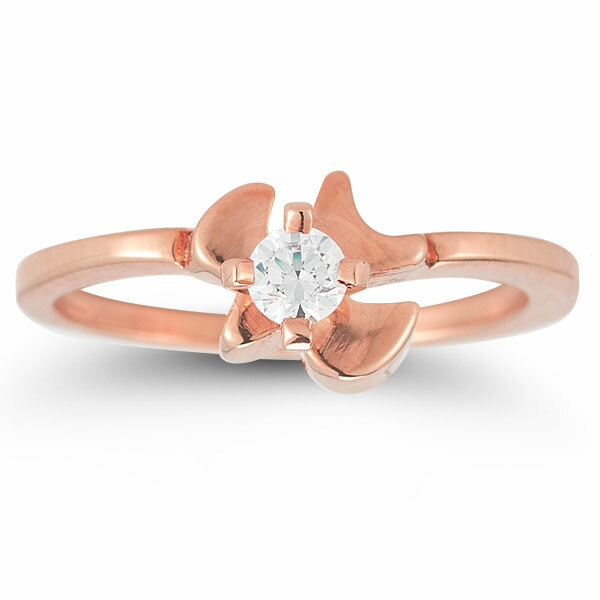 The rings are crafted of gorgeous 14K rose gold and the engagement ring features a white diamond measuring .4 carats that is set over the silhouette of a lovely dove. 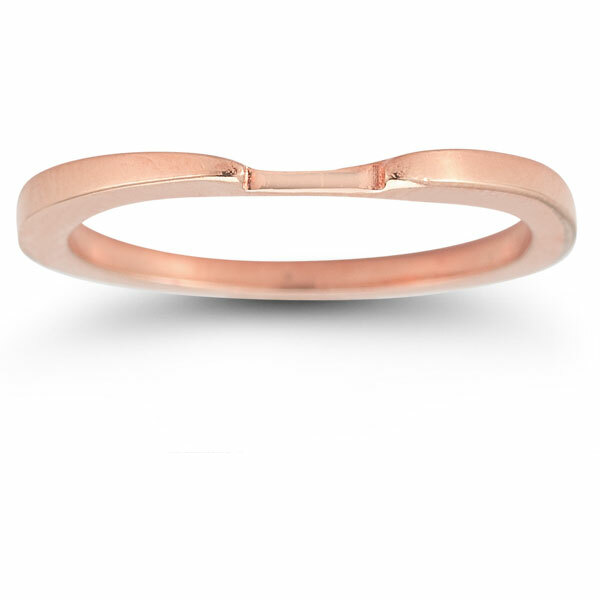 The wedding band completes this set with a clean, polished finish for a perfectly charming bridal set. 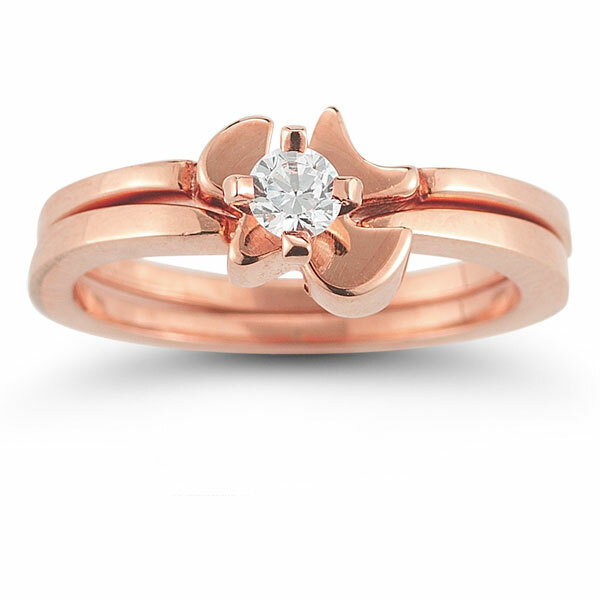 Apples of Gold Jewelry guarantees the Holy Spirit Dove Diamond Bridal Ring Set in 14K Rose Gold to be of high quality and an authentic engagement ring with real diamonds, as described above.